1 Can I start Jungian analysis if I am currently seeing another counsellor or engaging in some other kind of therapeutic process? It is ethical for you to have completed your work with other such practitioners before contacting me to begin a new therapeutic process. 2 Can I see you for analysis if my husband/wife/partner is seeing you as well? What about any others in my family? The short answer is ‘no.’ Good professional boundaries are essential for this work. Therapists must avoid conflicts of interest wherever possible. It is important that each client can feel secure in their individual process that confidentiality and boundaries are being honoured. 3 How do I know if it’s a good time to start an analysis? This depends very much on individual circumstances and life events. Often our first appointment is made during a time of change where you are feeling that you need more clarity and meaning in your life. 4 What goals should I have for my analysis? The psyche, the soul, the unconscious work in mysterious ways. Whatever it is that brings you to analysis in the first instance is likely to be more than what you are aware of consciously. Since ‘goals’ are generally arrived at consciously they will fall short of what the total Self or the whole person wants to achieve. It is therefore best to be open to the process, and simply aim for a more complete state of wholeness, of balance, and ultimately ‘individuation’, and to seek to build a stronger connection to the deeper drives of your own unconscious. For, apart from your conscious goals in life, it is ultimately your unconscious side that will determine how satisfied and comfortable you are with your conscious and tangible achievements in the world. It is your own inner nature that will tell you whether you can truly define your life as a meaningful ‘success’ or not. 5 Do you offer any Jungian training, instead of analysis? Apart from one or two Jungian reading groups, at present based around studies of fairy tales, I am not offering any specific Jungian training. If you would like to be kept informed of any upcoming vacancies in these groups or any workshops I may offer, please fill out the form on my website and I will keep in touch. Analysis involves an ongoing learning, reading, self-education component, but it is not primarily an academic or intellectual pursuit, nor is any Jungian training, for that matter. 6 How many different healing modalities is it realistic to be involved in at any given time? You may have medical or physical conditions that require treatment outside my expertise. The best idea is to keep it simple and to not risk confusion by engaging in multiple processes that may have overlapping aspects to their work. Otherwise it can be like trying to solve a problem while listening to several people who are all telling you different ways of tackling that problem. It usually doesn’t work. 7 I’m training to be a counsellor. 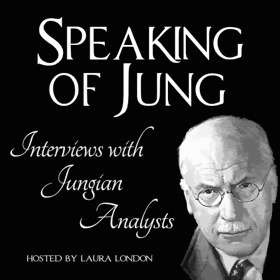 Is it OK to try a few sessions to find out what Jungian analysis is all about? If this is what you are seeking, please state this ‘up front’ in our initial conversation. I am happy to meet new clients for an initial session to see if the process might be for them. Since we start working on dreams in that initial session, I do treat it as a potential beginning, and do charge my normal fee. I also understand if a person decides it is not the process they had imagined and opts not to continue. Coming to analysis merely to see ‘what it is like’ is not a great motivation to begin with. It is loaded with reservation and an arms-length engagement with the process. Thus, it is much more likely to be unsatisfactory for both the client and for me. It is like trying to see what riding a bicycle is all about by simply standing next to the bicycle. Or like trying to see what swimming is about by standing in a puddle. It just doesn’t cut it. Sorry. To become a counsellor, or therapist, or a trainee counsellor, many people believe it is important to have done your own process, and to have been in some kind of therapy yourself. The psyche is a tricky customer, and you need to understand how and where it can hide from the therapist. Otherwise you will become a shadow of the counsellor that you could be. My suggestion is: assess your motives for wanting to be involved in the helping professions. If you are seriously committed to this path, then invest in your own career. Invest in the professional you can become. Do your own therapy, and pay for your own therapy. Do the ‘hard yards’ with humility. This way you will learn more than most of the therapists currently ‘out there’ who haven’t experienced a healing process for themselves. You will grow as a person much more than through any course of study you may have done. You will gain valuable wisdom and insights from your own direct experience, including suffering, self-acceptance and self-knowledge. There are no shortcuts. My own training required hundreds of hours of my own therapy before even being accepted for the formal training. 8 Can I call you between appointments if I have an urgent question? In emergencies, you would need to call 000 for immediate assistance. Overseas visitors to this website, please refer to your local emergency services. If there is a real crisis you can send me an email or leave a voice message on my practice phone. We can then try to make an appointment to talk briefly on the phone. If you need a longer time, we can see if we can schedule an additional session. Other than that, it is good to learn to hold the psychological tension inside, to work with it yourself as far as possible, and to bring the issue to your next session. It may be that you even have a dream before your regular session that helps find a way to deal with your urgent question. This, too, is part of the process. 9 What leeway do I have with the appointment times? The hour that we agree on for your appointment is the hour that I commit to seeing you. There may be clients coming soon after your designated hour, or there may be other appointments on my schedule for that day. The same with the time before your hour. It is your responsibility to make the most of that hour by being present for the full hour. It is my responsibility to be there for that hour, and engage as fully as possible with you in the analytic process. Should you arrive slightly early for your appointment (by car) simply use that time to pause and reflect on your upcoming session, and what concerns, questions or dreams you are bringing to that session. This pause, this time of reflection can often be very productive. Should you arrive early via public transport, there are two nice cafés at the end of the street where you can sit and order a drink while you fill in some time. Some of my clients even come early just to give themselves a café treat before their session. 10 If I don’t feel like keeping an appointment, or can’t make it for some unexpected reason, what should I do? If you really can’t keep an appointment for a practical reason, such as your car broke down, or you are ill, please let me know as soon as you can. I require 24 hours notice, otherwise I charge a cancellation fee for a missed appointment. With sufficient notice we can reschedule for a time that you can make. Alternatively, it may be possible to keep our appointment via Skype. If it is only that you are ‘not feeling like keeping your appointment’, then there is probably something that we should discuss. It may be that the analysis has reached an important point just before a breakthrough, but there is some resistance showing up. These sessions may be even more important than others, as the overall process may be stalled or hindered otherwise. 11 As it is called ‘analysis’, do I need to become highly analytical to engage in this process? This is perhaps one of the easy misconceptions about the analytic process. It is not an intellectual exercise, but rather a lived experience which is ultimately transformative. If you approach a Jungian analysis as an intellectual exercise, you may engage your mind, and it might be very interesting or great intellectual stimulation. But we are so much more than just our minds. And healing and psychological adjustment to the needs of the soul, to the unconscious drives that are trying to speak through your dreams, requires an engagement deeper than just intellectual. 12 Is it OK for me to discuss my sessions with close friends, partners, or other counsellors or therapists? One thing that is very important to respect in this process is what is known as the ‘therapeutic container’. Jungian analysis is like an alchemical process in many ways. And the process happens best in a ‘well-sealed container’ which allows the tension and pressure to build up a little as part of the psychological transformation possible. This might sound dramatic, but discussing issues with unqualified people, even those in the helping professions who are not qualified Jungian analysts who don’t appreciate fully what this process is about, may diminish the work we do together in quite significant ways. This might sound as if I am trying to put myself beyond reproach, or beyond scrutiny, but I have seen it all too often: when people start discussing their analysis with anyone who takes a casual interest, or when they seek alternative interpretations of their dreams, this is usually the time that their analysis loses something. They are usually worse off for it, and there is little that I can do about it ‘after the event’, except to remind them to keep our work confidential. Another aspect to discussing your therapy with people close to you is that they may have subtle reservations about you changing in some ways. Your partner, close friends, or relatives may like you being the person you were – for a wide range of possible reasons. They may feel insecure if you become someone different from the person they have always known. This may be as simple as having a fear of the unknown. Usually, if such relationship concerns come up for you during your work, they would be discussed in our sessions. 13 If I start feeling uncomfortable in my analysis, is it a good time to finish the process? Definitely not! Feeling uncomfortable is most likely a sign that we are getting close to something that needs to be worked on, that needs to be brought into the open. This is usually where the healing is, when something uncomfortable or confronting is touched upon or an obstacle encountered. Yes, it is often these times when you may feel like running away, ending the relationship, or avoiding the topic. I know this. But it is the time of greatest value when these things can be worked through, discussed, and brought into consciousness. It might be a time for a great breakthrough, so ‘have faith’ and hang in there! 14 If I feel that I am not making progress with some big questions or issues that I thought this process would help me with, does this mean the process isn’t working for me? That’s a possibility. It might also be that you haven’t yet given the process your full attention or commitment, or that you are resisting the process in some way. It might also be that the psyche or soul has its own agenda. There might be other things it wants to address first, things more fundamental than the problems in your life that you have consciously identified. If your dreams are not addressing the issues that cause you conscious concern, there may be deeper underlying issues that are even more important. 15 If I am working with any problems in my analysis will you give me a diagnosis of my problems and their possible causes? It might seem strange that I would actually answer “no” to this question. However, I prefer not to provide too many labels for what might have happened in the past to have created a particular situation, or for what you are experiencing now. Jung was always much more interested in the way forward, than in retracing the steps of the past. He believed that the psyche’s or soul’s drive is toward self-regulation and wholeness, and that dreams are a message to help us get in touch with that instinct. We are therefore working with the clues toward a solution, not the clues of a diagnosis. Despite the current attraction in some scientific endeavours of being focused on brain biology and neuroscience – the mind, the human psyche, and indeed the soul, are not mechanical constructs that can be mechanically analysed and fixed. Diagnosis can lead to a label that some people remain attached to, or even fixed on. Healing may not be achieved by ‘undoing’ the past, as the past cannot be ‘undone’. But the psyche does, I believe, have its own instinct for what needs to healed. And that is why we engage in and try to respect the mystery of this process, to pay attention, observe, ponder, to find those subtle threads that lead to healing on a deeper and more profound level. 16 “My life is going very well, and you’ve helped me a lot to turn things around. I think I can manage now.” Isn’t this a good time to stop analysis? Maybe, … but perhaps not. Simply because things have started to run smoothly in your life for a few weeks or months, doesn’t mean that there won’t be other challenges just around the corner. Sadly, I have experienced a few instances of clients reaching this point of new or elevated confidence and feeling that they want to finish their analysis. And within a few short months things have happened in their lives that have led to significant negative consequences which they might have been able to avoid had they continued in analysis a little longer. The new-found optimism may even be a psychological inflation, where we are up in the air but our feet are not firmly planted on the ground. This might sound like a self-serving response on my part, but in my experience there is value in continuing the work and the therapeutic dialogue, even if it means having sessions less frequently during the time when life is going smoothly. Then, if something big comes along, or if you have a significant dream, it is easy to pick up the threads again – and resume another stage of the work – before it’s too late to re-establish the in-depth process. 17 How do I know when it’s really time to finish my analysis? Generally, this will be indicated by material that we discuss in the analysis. For example, there may be a dream which clearly shows that you have arrived at the end of your process. It is part of my role to keep alert to this possibility, and to keep reviewing how your process is proceeding. If your progress is slowing, or if there is an emerging resistance, if there is no energy in our sessions, it may be time to take a break, or to finish altogether. It may be that you have gone as far as you can for now. Usually your dreams will indicate this quite clearly. 18 What is the best way to end an analysis? Is there a positive and productive way to finish, one that honours the work that has gone on in the process? Whether the time is right or not, since you are a mature adult, it is always entirely your decision if you decide you don’t want to or feel you can’t go any further. I cannot stop you from making that decision, regardless of where I perceive you to be in your process. Regardless of whether I feel that you are now in a good place to finish or to take an indeterminate break from the work for now. At the very least, therefore, once the decision has been made to finish, we should have one (or, in some cases, two or three) closing session(s). This will allow time to review the process and the journey you have been on. It will allow time for any residual questions to come up and be attended to. There may be some last dreams or other material to deal with that may be useful for the journey ahead. And, most importantly, we can close the ‘container’, the process, and honour what has been achieved. The closing of an analysis does not need to be a rupturing process, the way that many other relationships are broken off. Instead, it can help us learn a new approach to parting ways with someone who has been significant in our life for a time. Yes, this does take courage. But those who have ended their analysis well have gone forth with something that may in fact be the greatest gift that they have gained in their process. They can also hold the insights of their analysis with added joy, not having those lessons tarnished with the negativity of a troubled ending. 19 After I finish my analysis, can we be friends, or keep in touch on a casual basis? Analysis is a formal therapeutic relationship. As part of my Professional Code of Ethics, it is essential to maintain a professional distance for at least two years after the end of an analytic relationship. Therefore, no matter how much we may have come to ‘like’ and value each other during your analysis, it is important above all, to honour your process first and foremost, and so not revert to a casual friendship. Also, it may be that you may want to recommence analysis due to developments in your life. It is best to keep that important option open. Also I cannot see friends, or those I am in other relationships with, as clients. 20 Once I finish my analysis, are there any groups or workshops I can join? I run small Jungian study groups and offer reading seminars from time to time. Many cities have CG Jung Societies which offer a program of lectures. Bees, Honey and the Hive by Frith Luton, published by Inner City Books. 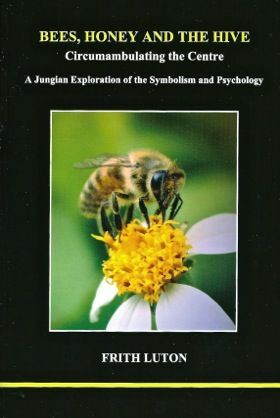 Available from this website, online and where jungian books are sold.